DJ Reck is Gonzalo Silva, Jai Paul, Switch ft. Andrea Martin, Nadus, Cousin Culo ft. Yukimi and more. This show was 70th in the global indie chart. It&apos;s time to bawl. 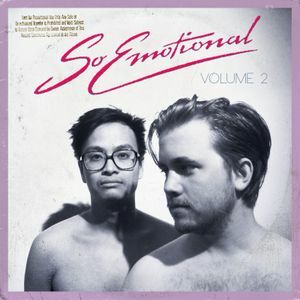 Cousin Culo and Phi Unit present Volume 2 of So Emotional with 10 tracks, including 2 bonus tracks from fellow crybabies DJ Reck (Gonzalo Silva) and Cabo Blanco. This volume continues the theme of emotional moombahton, so get your tissues ready for a darker, even more heartfelt compilation filled with #emoton anthems.